Skin boosters are related to dermal fillers in terms of what they are made of, the difference with skin boosters compared with dermal fillers is that they are not structural, ie they only improve the skin, rather than improve the supporting structures. The neck skin is more difficult to treat than the face skin with laser, because the laser procedure is more risky, so injectable treatments are a great alternative. Hyaluronic acid is a moisture binding substance in the skin, giving the skin firmness, plumpness and elasticity. It helps prevent lines wrinkles and fold forming. Moisturising the surface of the skin with creams cannot replace the hyaluronic acid loss which is occurring over time. What is the procedure for skin booster injections in the hands? 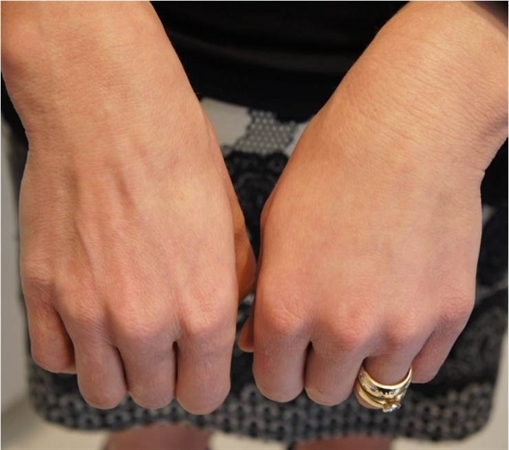 For skinbooster injection into the hands, a cannula is often used. How will I look immediately after the skin booster injections in the hands? There will be redness and swelling, and possibly bruising.